View our bright and bold Orange Sofa collection in store or online. Whether shades of tangerine or apricot appeal to you, a bold orange settee is a fun and inspired choice for bright and beautiful interiors. Imagine your home with the addition of an orange chesterfield sofa packed full of statement style, or perhaps a perfectly practical burnt orange sofa bed for surprise stopovers. Squashy Orange corner couches are just the ticket for family time or choose an armchair in calmer coral tones if you don’t want to go the whole hog. 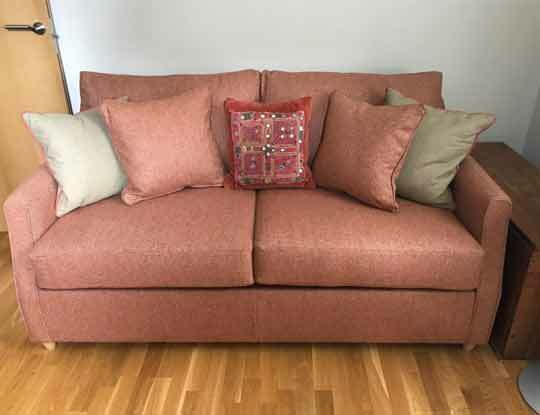 Whether you’re looking for a contemporary couch or a more traditional style, there is a shade of orange fabric to suit many interior schemes depending on how daring you feel like being. At S&S we believe in choice. 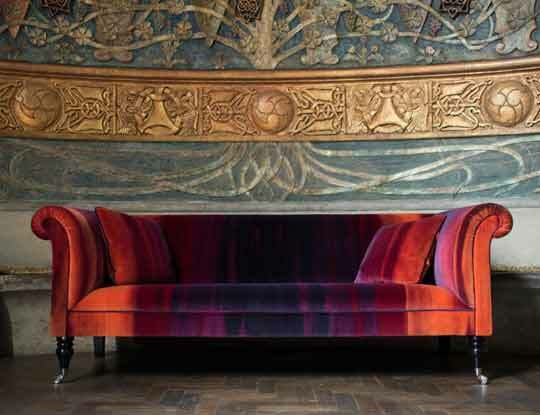 The choice to have the exact sofa that you have longed after, for all those years. Our vision is simple. To provide the highest quality sofas, in any fabric in the world and all for a price that you can afford. Our handmade collection of sofas are all made to order in our Nottingham sofa workshop. They are all made with the same care and attention that has made Britain, Great! Popping into one of our showrooms one can browse our glorious fabric rooms where you will be treated to a coffee and of course free parking onsite. You will get no hard sell tactics from us in store, just good old fahioned honest advice. For those looking for a more personalised sofa buying experience, why not book an interior design consultation, with one of our experts. They can guide you through creating your perfect sofa and keep you up to speed with the latest fashions and interior trends. To book, go online or phone your closest furniture store direct. Why not order some free orange fabric samples pack, so you can see the high quality fabrics we offer.